Kendapani is a small village in the Jashpur district of Chhattisgarh. Situated 7 kilometres away from the Jharkhand border, the village is surrounded by forests and most of the inhabitants are dependent on the forests for livelihood. Born in a poor family in this village, Dilbahal Singh had to struggle a lot to earn his livelihood. However, he has been able to change his life with the help of various government schemes and it is an inspiring story. Life was always tough for Dilbahal and his family. Because of financial constraints, he could not continue studies after 5th standard. At a very young age he had to start earning to support his family. He had 5 acres of land but it was lying unused. It could not be utilised for any farming activity as the land was on a hilly terrain. He had to go to other places to work as a labourer to earn livelihood. Away from his home and his family he had to toil hard from evening till morning to make a living. He did not see any opportunity to change his life. He did not see any hope for his children. There was no way out. But life changed for Dilbahal and his family. He saw a ray of hope when an irrigation project was introduced in his village. Because of this project he got employment as a labourer. But it also helped him level his land for farming. The irrigation project enabled him to irrigate his fields. A farm pond was dug in his farm.After this, he started farming in his land. He also got training from expert son advanced methods of farming. 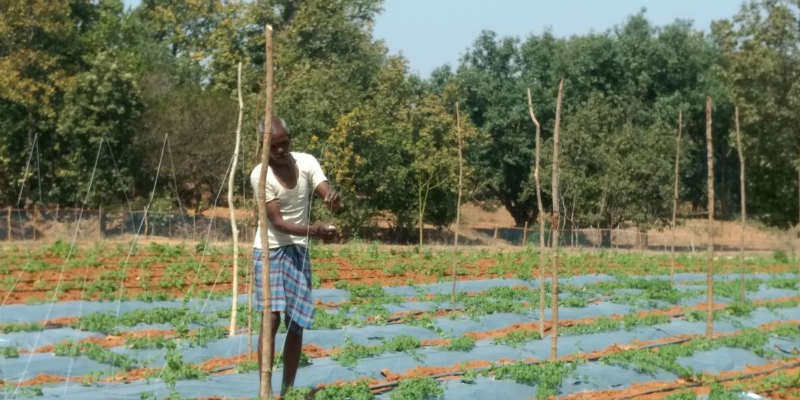 Armed with new skills he started cultivating brinjal and tomatoes. This helped him earn 19 thousand rupees. He also cultivated rice in the SRI (System of Rice Intensification) method which yielded 26 quintals of rice. He has also acquired a 3 hp solar pump under the Saur Sujala Yojana and this has solved the problems of irrigation in the fields. Farming has become a lot easier now. With the newly acquired facilities he has been able to crop Rabi harvest as well. Now he is cultivating wheat on an acre of land. The solar pump has been very helpful in irrigating the wheat crops. He has introduced drip irrigation in an acre of land too. 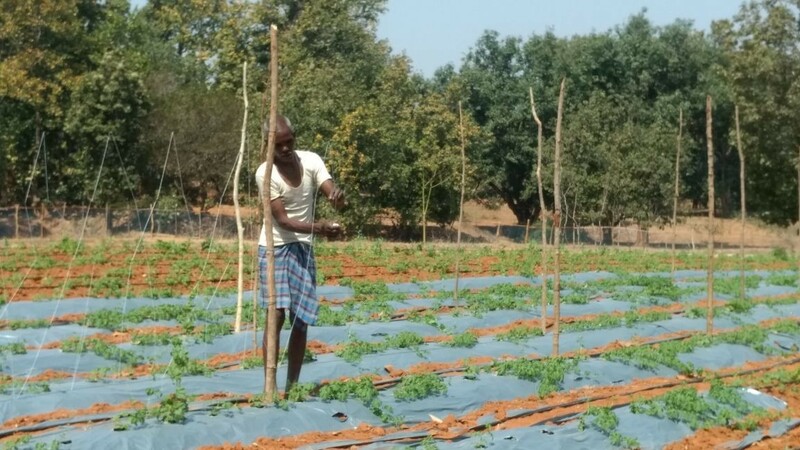 He is now cultivating various types of vegetables and is expecting a profit of 50 thousand rupees. Dilbahal does not need to go out to work as a labourer anymore. He can earn his living at his own place. He has also lifted himself up from a state of poverty and insecurity. Today he dreams of a better future for his children. “I wanted to ensure that my children get higher education and do not have to suffer like I had to.” He says. Today he motivates others to change their lives by taking benefit from various government schemes. He is a source of inspiration for a lot of other people today.